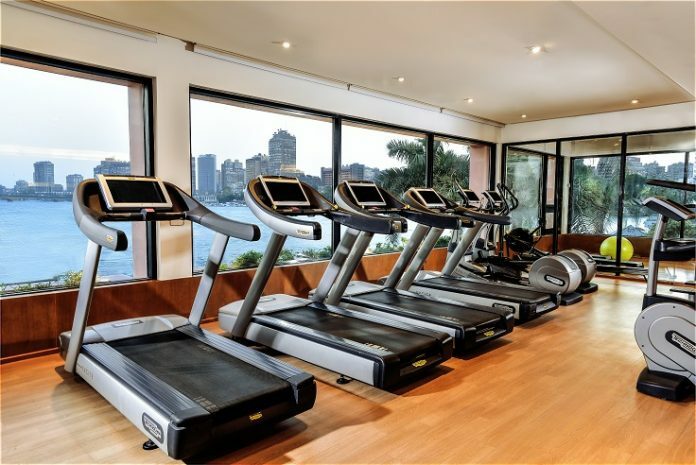 A modern, high-tech fitness center overlooks the Nile – a cool, calm space to work out in Cairo. High-tech Technogym machines, including cross trainers, running, rowing, cycling and step machines, offer cardio workouts, and there are free weights and mats for stretching. Ease your body afterwards in the hammam and sauna, or book a massage in So SPA. If you’re seeking a private gym in Cairo, Sofitel Cairo El Gezirah offers this and more. As well as use of the high-tech fitness center, day membership includes access to So SPA with a steam room, sauna and whirlpool – plus use of the outdoor infinity pool. Discounts in the hotel restaurants dotted along the promenade might well tempt you to stay for the evening, too.